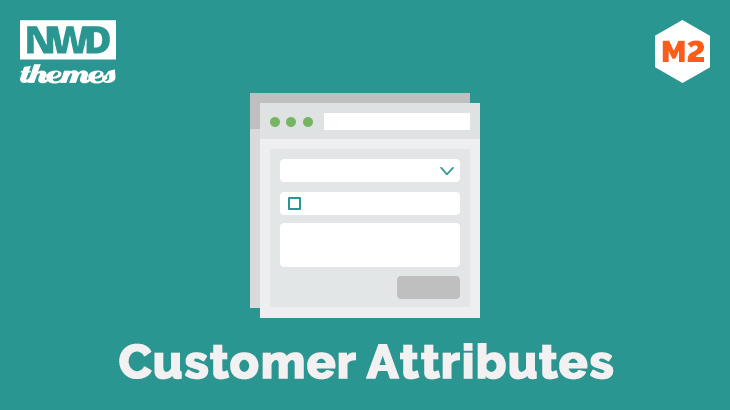 Magento 2 Customer Attributes is most cozy way to add unlimited number of additional customer attributes to get all required information about your customers, let customers fill this data on account creation and edit it in customer account. You can easily view and edit this information from admin account to add own notes about your customers. 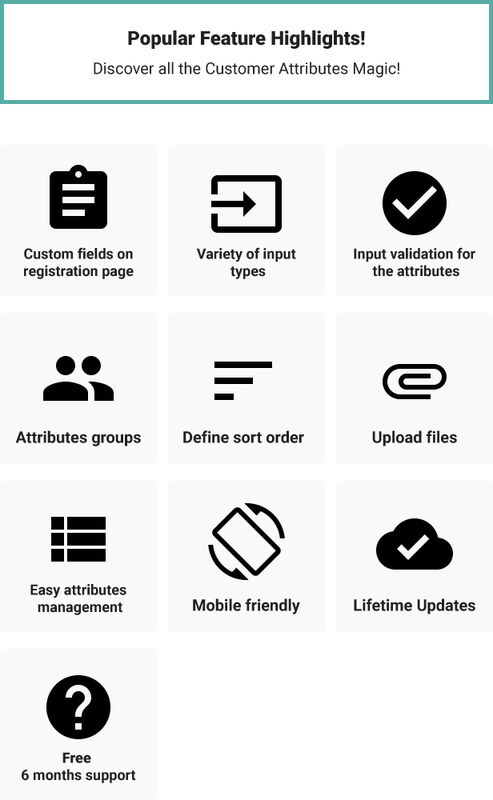 Big plus is an organization of additional form inputs into usable groups. You’ll be more successful if you can match what you’re offering to what you know your customer can afford. 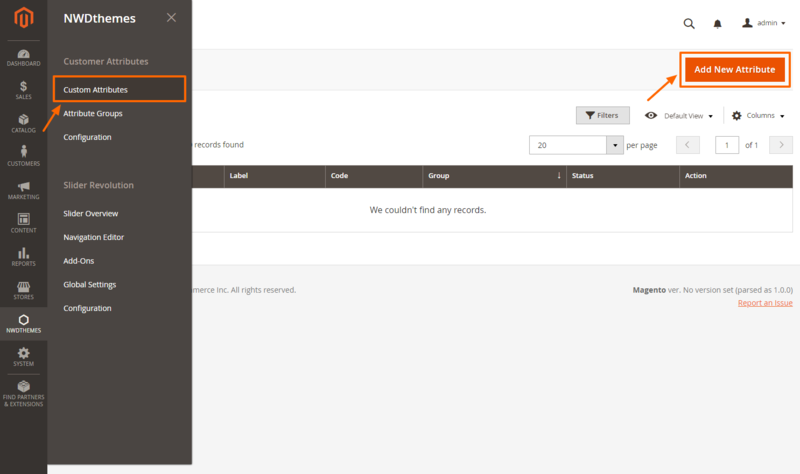 To collect as much customer data as possible you can show additional fields on the account registration page. 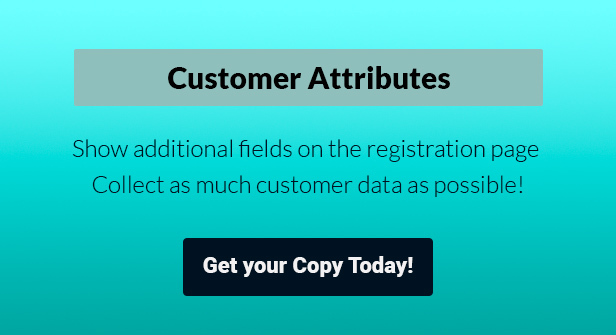 Unlimited number of additional customer attributes allow you to get all required information about your customers. Incomplete customer data limits your ability to drive new revenue through cross-sell and upsell campaigns. 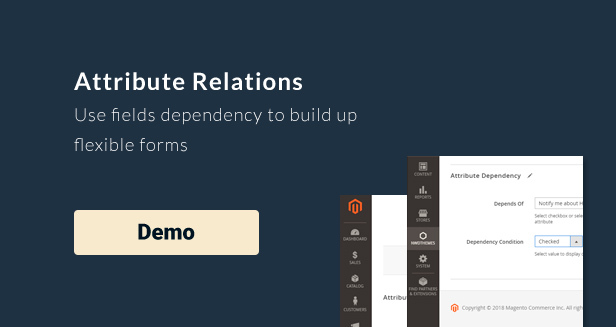 Magento 2 Customer Attributes extension provides an effective tool to obtain additional information from customers. It allow you to request certain information and transforms your customer data into a strategic marketing tool. By getting extra information through customer registration fields, admin can easily segment customer; thus develop a better strategy for suitable customers. Specific questions for customers such as “Where do you work?” or “What is your job?”… provides precious information that Magento 2 default doesn’t allow admin to add. All basic html inputs are available. 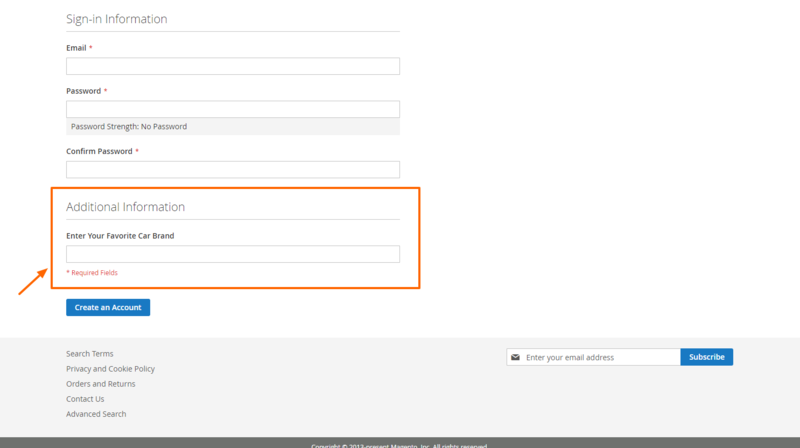 You can add different input validation for the attributes like email, phone, numbers only and so on. Use fields dependency to build up flexible forms, where a particular answer to one question leads to the appearance of another form fields. This way module helps you sell more effectively and generate new revenue opportunities. 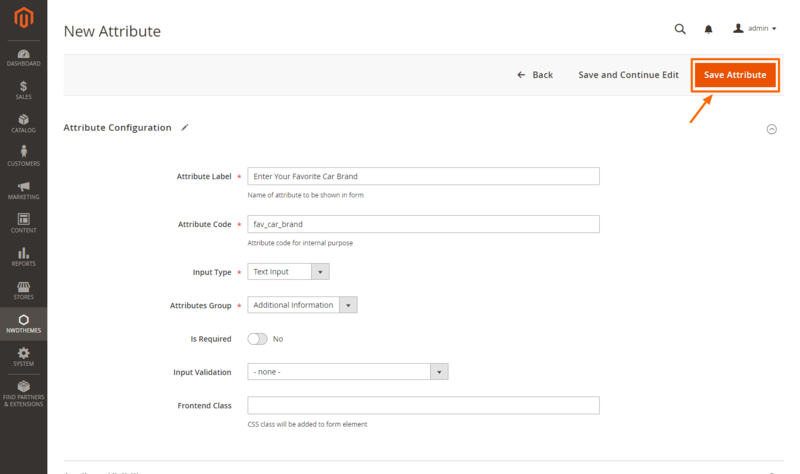 An admin user can specify any custom attribute value while creating new customers for orders generated in the admin panel. It’s also possible to edit attributes for already existing customers. Moreover, you can restrict editing of particular attribute values for customers if necessary. With this option customers will be able to upload/attach extra files right on the registration page or during the checkout process. This way they’ll be able to attach any pictures, sketches etc. to get custom products like mugs, calendars, pillows.